In the US.....there are internal CBP Inspection Stations located inland and away from the Mexican Border where vehicles can be stopped and occupants questioned about their citizenship. They also set up spot-checks inland from the Canadian Border. So is this the closest we have to that in Canada? This is at an inter-provincial border. 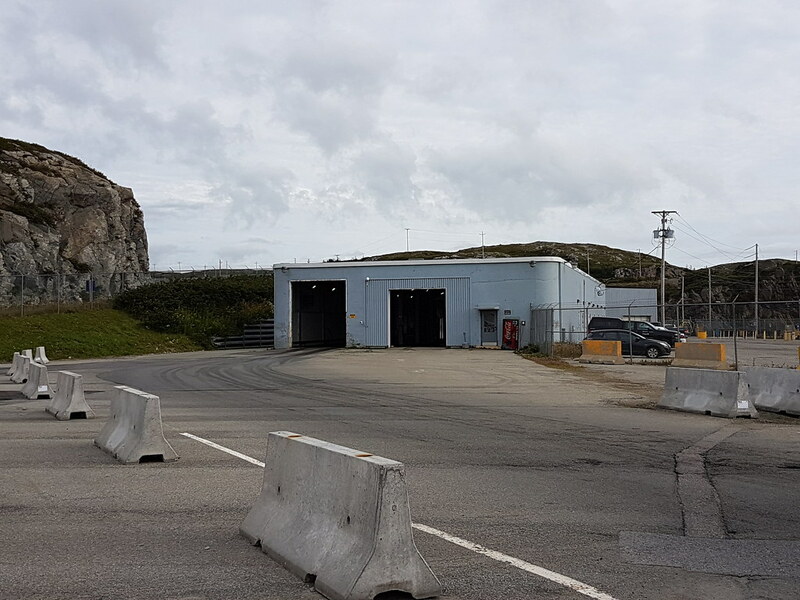 Arriving at the Marine Atlantic Ferry Terminal in Port-aux-Basques, Newfoundland (sounds like: Port O Bask)...... as you enter this building you will be asked to open your trunk for inspection. 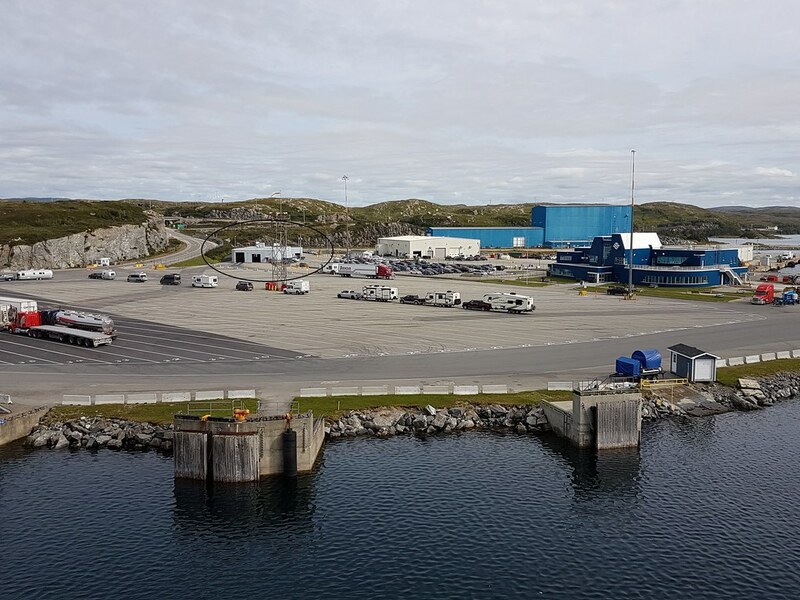 They're not looking for illegal immigrants but it's Agriculture Canada looking for soil and plants where a pest might be hitching a ride to the mainland. If your vehicle is exceptionally dirty.....it will be washed and even the mats vacuumed (all complementary!) 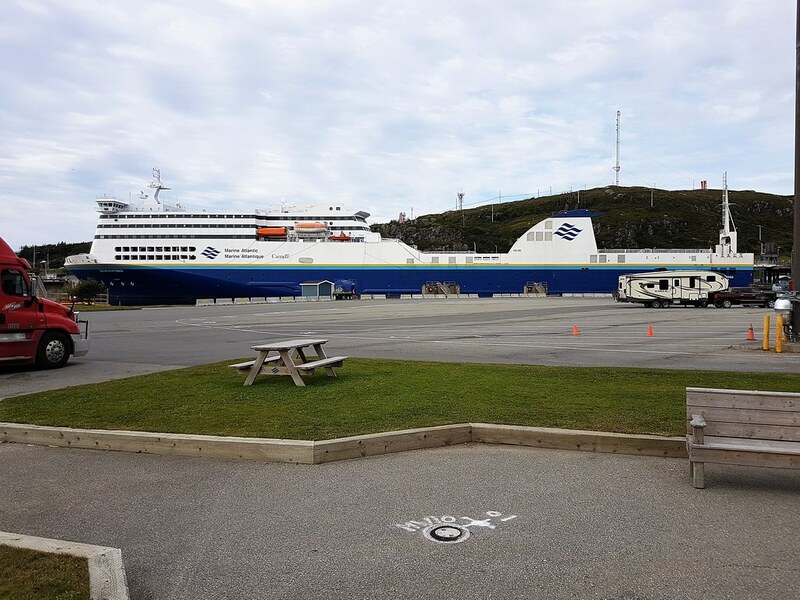 Then you are free to line-up and board the ferry. 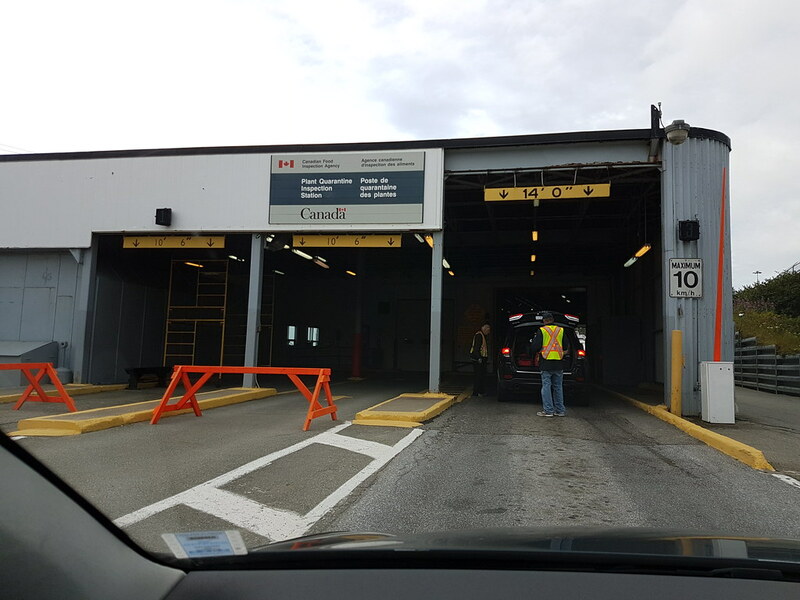 Are there any other inter-provincial inspection stations in Canada? I would imagine that has to do with trying to reduce invasive species on the island? Also, find it odd that the vertical clearances don't have metric. In terms of other provinces, Ontario did have an issue a few years back involving a joint MTO and CBSA operation. Other way around. It's an exit inspection.....trying to keep any invasive species and in particular the potato wart being carried in soil to the mainland. Good catch on that non-metric sign.....and it;s a federal facility! Similar to other agricultural inspections in the US. One is an USDA inspection to/from Hawai'i for invasive species. The other is a state-run inspection for entering California. I've seen non-metric signs in Canada for vertical clearances, especially the 7 foot 0 inch clearance signs for the main decks on some BC Ferries vessels, and one at a motel in Vancouver (which let me confirm that my vehicle would meet vertical clearance requirements on the BC Ferries vessels I was about to take to and from Vancouver Island).